PwC in Aberdeen is moving from Albyn Place to the new development reaffirming the company’s commitment to Aberdeen and the North-east of Scotland. The 120-strong team will be based on the top floor, with the 10,000 sq. foot space configured to provide a flexible yet modern working area, allowing for closer integration of services, as well as a dedicated multi-purpose meeting and client area. 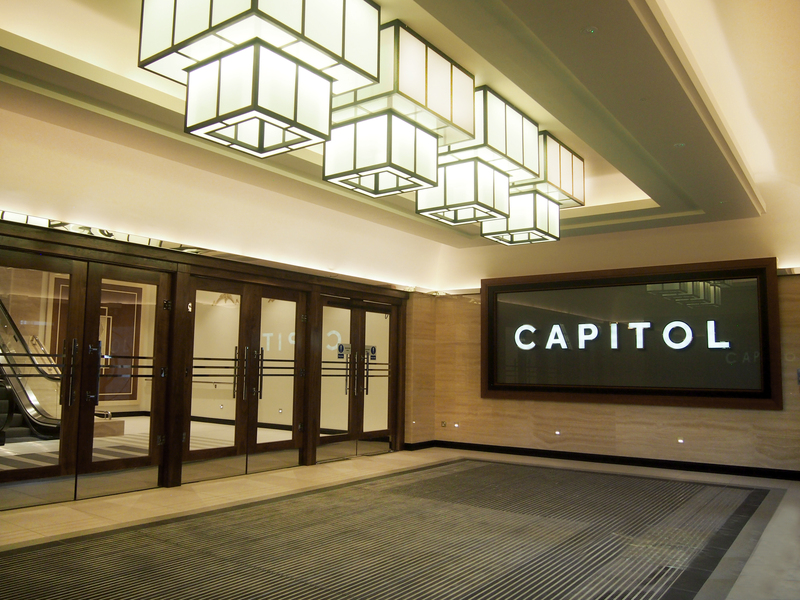 From a cinema, to a theatre and latterly a bar and night club, The Capitol theatre closed its doors in 2008. Laying derelict until Knight Property Group and M&G made the purchase in 2013, the building was left in a state of disrepair. Suffering from years of neglect, the iconic art deco building was left unrecognisable suffering from vandalism and the ingress of water. Keeping The Capitol’s original features within the front of house was a high priority. Over the 22 month period, both Knight Property Group and main contractor Andrew Cowie Construction have worked hard to ensure that the building was restored to its former glory, refurbishing the canopy entrance and inner vestibule doors, art deco light fittings and clocks, pilasters and motifs. James Barrack, Managing Director of Knight Property Group, “At the heart of the Capitol redevelopment is a desire to bring new life to an iconic but derelict building. Incorporating the old with the new, we have worked closely with the project architects, Keppie Design, to ensure that the building seamlessly moves from the 1930’s art deco front of house into the column free grade A office space in the back. With the top floor pre-let to Pricewaterhouse Coopers, marketing agents AB Robb, Ryden and Savills are excited about the prospects of further lettings at The Capitol. With 72,600 sq. ft. of column free office space, The Capitol development has space for approximately 700 employees working within the building and visiting retailer, restaurants and local businesses will benefit from an increase in footfall in the area. “Against what has been a challenging economic backdrop in recent years, our team has continued to be a strong force for positive business change. This move underlies our strong commitment to Aberdeen and to building our business across the North East in the years ahead. “For businesses to perform at their best, the infrastructure needs to be there to support them. That’s what The Capitol does and we are delighted to invest in the building in recognition of it being a truly first class working environment. “Having our teams together on one floor will not only allow us to enhance our flexibility and speed-to-market but our ability to deliver excellent services and advice across all our lines of service from auditing and deals to human resources and cybersecurity. “But it’s not just about what the move does for our clients and staff. The move – and the opening of The Capitol – will help create a new energy around the business community in Aberdeen which is focusing in and around the west end of the city.